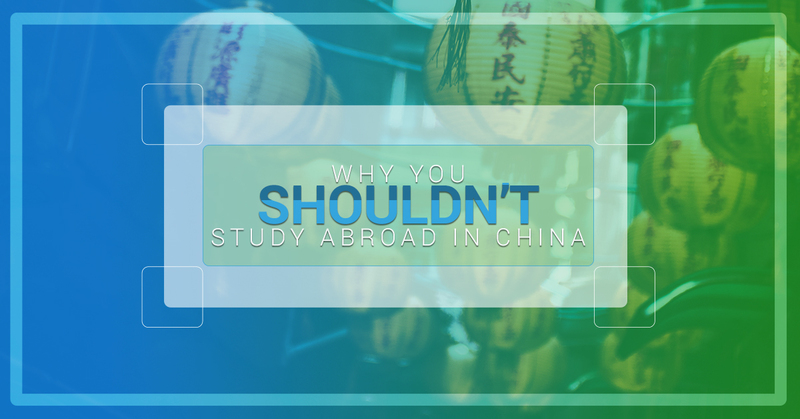 China is not the best place to simply study abroad. It’s the best place to live, make friends, network, work AND study abroad (at least for a short period of time). It’s also a great place to travel. No matter why you come to China, your time in China can’t be classified into just one category because, ultimately, it will be the experience of a lifetime. Anyone who has visited China walks away with an interesting experience, guaranteed. So don’t just plan on studying in China for a few months. Live it up, make your experience as memorable as possible and take full advantage of what China has to offer! Studying in China allows you to learn about Chinese culture, the Chinese language and living abroad as well as whatever subject you’re going there to learn. Talk about being efficient. You can check all four of those off your bucket list after just one semester. If you are still loving your China life after you finish your studies, stay in China longer and start working immediately as an English teacher or jump into an internship in a different vocation. China allows international students to apply at almost all of their universities, but not all colleges offer classes in English. If you’re wondering which universities do have classes in English, a good place to start is by taking a look at the Chinese universities with the most notoriety. Yet regardless of which school you choose, remember you’re not just studying in China, you’re about to have a China experience like none other.